The trailer is a great example of how to hype a new release without revealing too much. 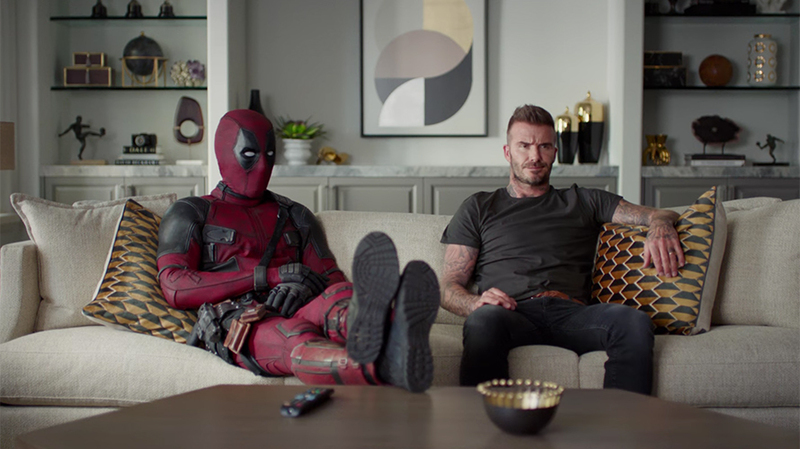 20th Century Fox’s new trailer for the May 18 release of Deadpool 2 opens with David Beckham watching Ryan Reynolds’ character cracking a joke about his voice in the original Deadpool film. The rest of the ad eschews footage from the new movie in favor of a long string of grand apologies. It all begins with a text, shortly followed by Reynolds showing up at Beckham’s door (in full Deadpool garb) in a series of progressively grandiose gestures. When he arrives with a pair of tickets to the World Cup, Beckham decides he can’t stay mad at him and the two hug it out. It appears, however that they may not have been on the same page about what he was apologizing for in the first place. The trailer is a great example of how to hype a new release without revealing too much (or anything at all, in this case) about the movie itself, perhaps a trick that’s easier to pull off with a sequel. It effortlessly captures the distinct humor of Reynolds’ character, reminds fans of the first entry of what they enjoyed about Deadpool while suggesting they can expect the same kind of irreverent tone from the sequel and introducing new audiences to the franchise’s distinct sensibilities. Of course, the studio released more traditional trailers to promote the latest entry in the Marvel Cinematic Universe as well, but this is the one people will be talking about.